Police are looking for the person who cut off a puppy's ears and left it bleeding in an empty lot Sunday. BARCS likely saved the dog's life. Those there said the person who did this needs to pay for this horrible crime. 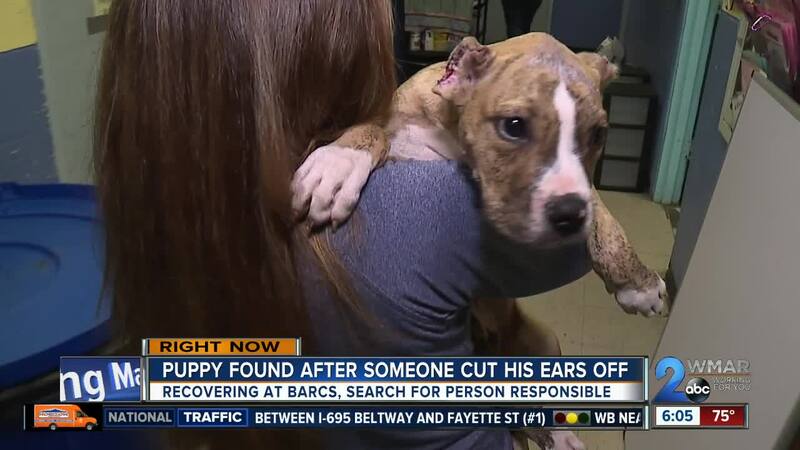 "Breeding and selling of puppies is illegal already here in Baltimore but then there was also Claude who was bleeding from his head and very very unwell," said BARCS Communications Director, Bailey Deacon. Claude is just 10 weeks old. He was found Sunday by animal control with his ears cut off in an empty lot. Next to him were other puppies that were for sale and two other dogs tied to a tree near Belair Road and Anntana Avenue. "People think it's a desirable look for animals but there's nothing desirable about a lifetime of infections and pain and the suffering that Claude went through." Deacon said. To make matters worse, when Claude was brought here, veterinary surgeons saw something even more troubling. "Our veterinarians immediately knew that it was not done by a professional we don't condone it either professional or not but in Claude's situation it was definitely done with some kind of household object," Deacon told WMAR 2 News. A terribly painful ordeal. 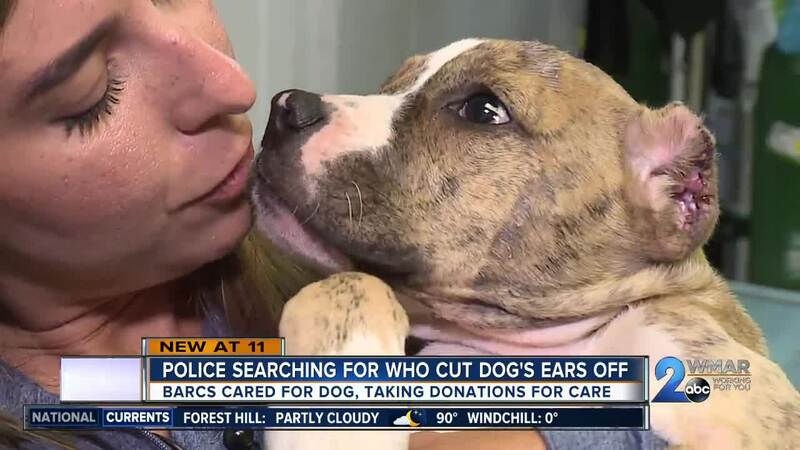 Ear cropping is a procedure to produce a certain cosmetic look usually performed on puppies; but according to BARCS officials, it does more harm than good. "It causes further problem down the line. He's born with the type of ears he has for a reason and when you remove them, they're susceptible to more infections, and other complications," said Deacon. The vets who treated Claude hope he won't remember the trauma of having his ears cut off. They said when he arrived he was in terrible shape. "We were able to do surgery to get him out of the extreme pain he was in and to remove the infected areas. It just remains to be seen if this one surgery is all he needed or if he's going to need follow up care," Deacon said. Claude's surgery went very well and he's now in foster care while he heals and his health is monitored. Baltimore City Animal Control is investigating the abuse. Click here to make a donation to help Claude.